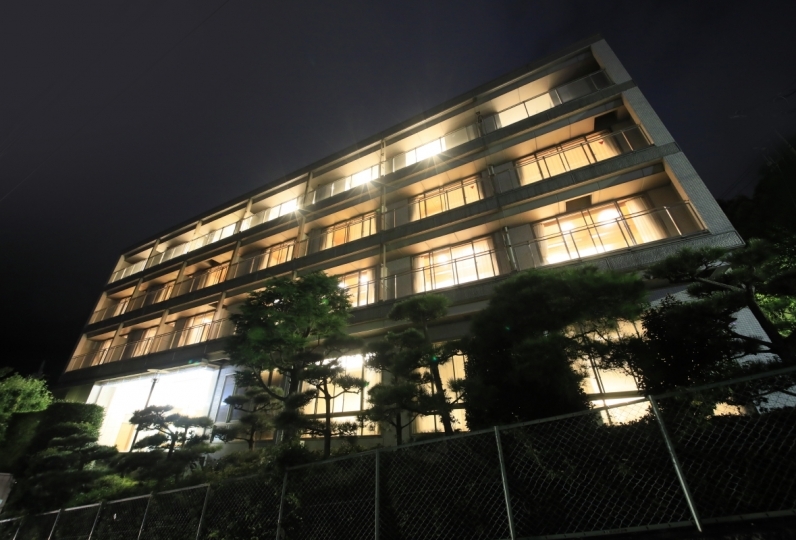 Close to the city yet far from the routine, Atami Tensui is a modern Japanese auberge where one can enjoy an exquisite meal in a quality atmosphere. Take a step inside and there is a space removed from the daily routine. It will capture the heart of the well-traveled adult. This hotel has only 19 rooms. Each room is its own original work of art with attention to details from the colors of the wallpaper and sofas to the design of the sliding paper doors. 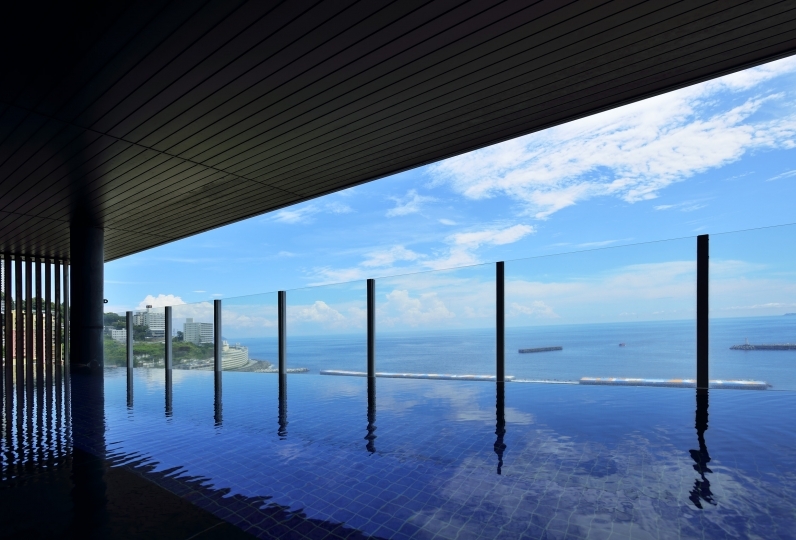 Relax in a unique, sophisticated atmosphere designed so that guests might experience the extraordinary. The gentle waters are considered to be the baths of beauty. In the stylish open air baths that gaze upon the Saga Bay in the distance, these kakenagashi hot springs will ease the day’s exhaustion. Enjoy the chef’s Japanese kaiseki banquet creations for dinner in an open, stylish restaurant. The food, a delicious, brilliant sight to behold, will satisfy all five senses. Filled with the unusual, the resort is an all new experience. 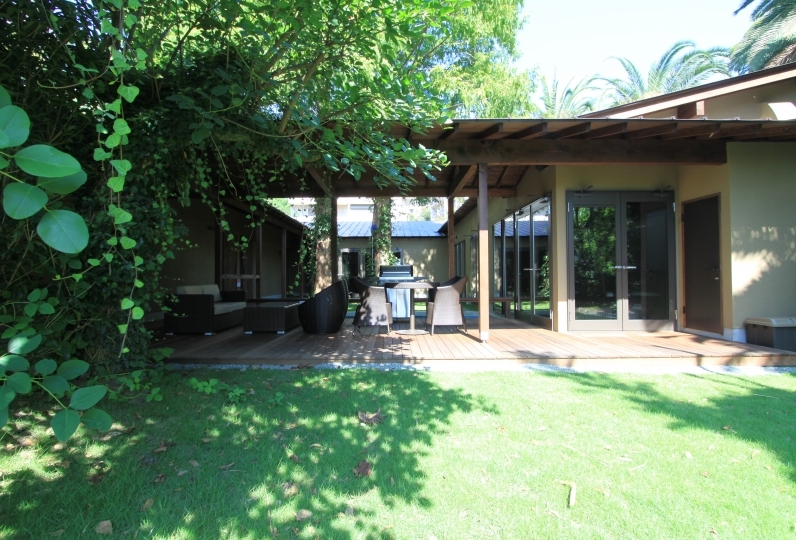 Enjoy an adult luxury amid the slowly passing time. Underground parking lot felt hard (stopped) to stop. The staff's response was good. I had never stayed in the Auberge, but I wanted to feel the enthusiasm by making the description of the food a little more polite and easy to understand. It was disappointing that the miso soup for breakfast was cold. The champagne fee for dinner was wrongly charged, but it was immediately refunded with cash. The hand towel in the room is a bit thicker. 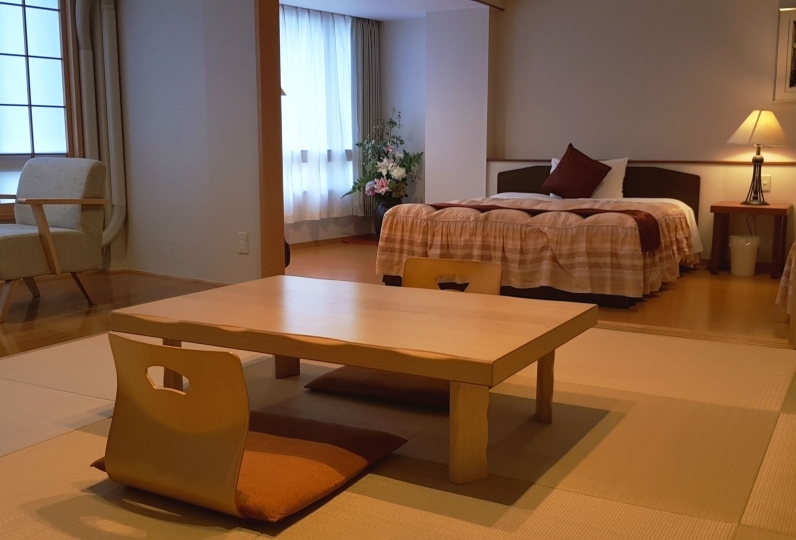 I think it was felt high if it was the room rate (64,800 yen) before discount. Bedrock bath for dinner, especially the welcome service was very good. The service to the guests was also very polite and cozy. I would like to use it again. It became a very nice trip thanks to Tensui! ! Especially regarding customer service we were satisfied very politely and warm correspondence! ! I was impressed even though he gave me a picture in the frame I got on my way home! ! I was happy to have indoor slippers in the room! ! We decided that it is a comprehensive inn. ! Thank you very much! ! ◆ Large public baths: The large public bath as well as the open air bath contain chloride and sulphate spring water. 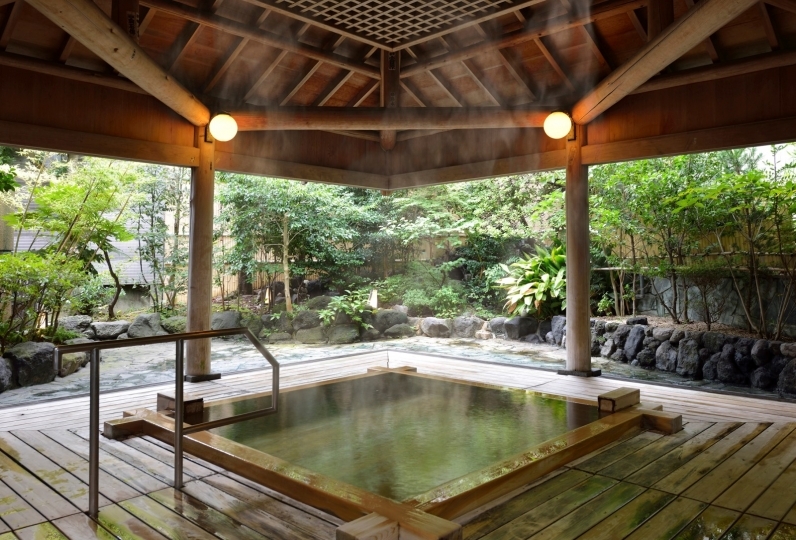 The water contains low amounts of alkalinity leaves the skin soft earning the name 'Bijin-no-yu' (a hot spring of beauty). ◆ Jet bath: This bath is good for blood circulation and depending on the season will incorporate special water. 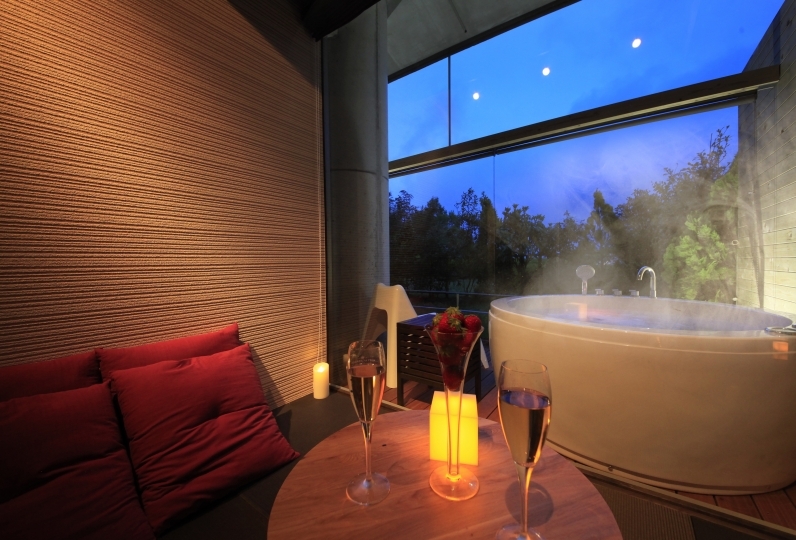 ◆ Open air bath: Heal your fatigue in the outside bath with a view of Sugami Bay. ◆ Stone bath: Expect to have beautiful skin among other benefits when you use this bath. Spend time with that special someone in this room with two floors. ・Portable games: We offer a variety of games such as Othello and card games. ・Billiards: Next to the counter on the first floor we have a billiards table set up for your entertainment. ・The hot spring tax is not included (150 yen). ・Children can be accommodated from October 10, 2016. [Regarding the children's menu] Elementary school age children have a special menu and infants have the same menu to a degree. Sharing beds is not allowed. *We also accept pick-up from Atami station. If you wish, please inform us by phone.